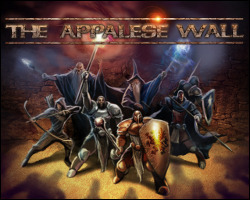 The Appalese Wall is a new strategy mix of RPG gameplay with defensive goal. Read more details for The Appalese Wall. Deep into the darkness, an evil force raised up and immediately release its rage upon the entire mankind! Reign of chaos and destruction attacked our planet, dark terror was wandering around, hatery filled everyone…. Only few brave souls were smart and strong enough to stand against this dark matter and crush it once and for all!